Firefox is working on a mobile web browser for quite some time, codnamed Fennec. It is only available for Nokia N810 Internet Tablet. 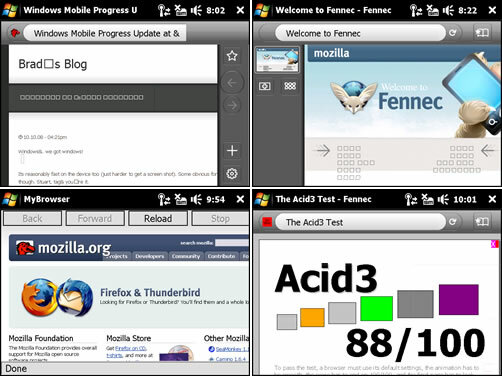 Today Mozilla developer Brad posted screenshots of Firefox mobile browser running on windows mobile device. The browser is not yet ready for windows mobile OS but we can assume that it is coming very soon. From the screenshots it looks like it is almost ready for launch, it scores 88/100 on Acid3 test which is not that bad for an alpha release browser on mobile device. The screenshot shows text buttons for Back, Forward, Reload and Stop functions, and also there seems to be thumbnails opened tabs (or windows) in the sidebar. 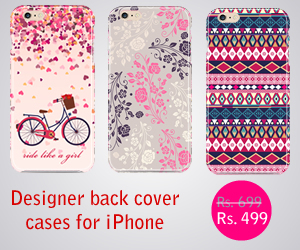 Looks cool…but I’m still craving the iPhone or Android. Let’s hope there is a consensus by next May.